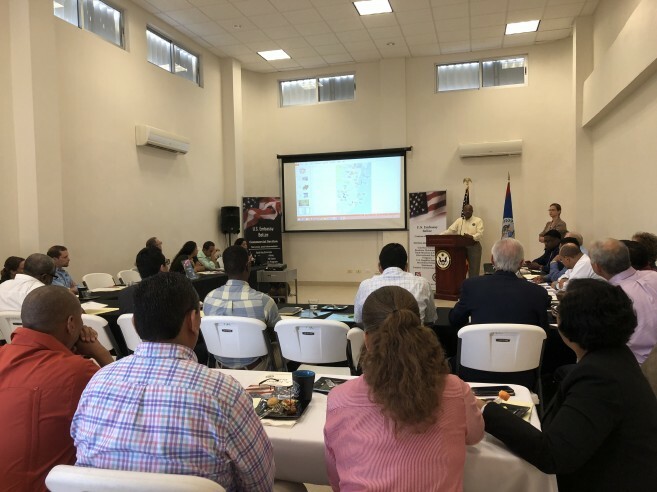 Belmopan — On September 6, the U.S. Embassy hosted an Energy Forum “Spotlight on Belize’s Electricity Sector” in Belize City. The forum was an ideal opportunity for government and private sector representatives from both countries to learn each other’s priorities, explore items of mutual interest, and highlight areas for development in the electricity sector. 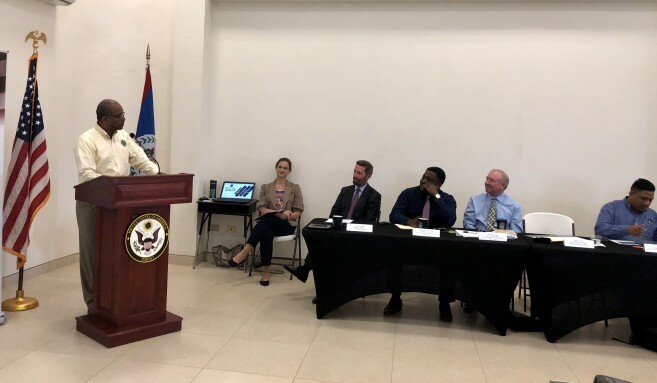 The forum featured remarks and presentations by U.S. Chargé d’Affaires, a.i. Keith Gilges; Minister of State for the Ministry of Public Service, Energy and Public Utilities Frank “Papa” Mena; Chief Executive Officer (CEO) of Belize Electricity Limited Jeffrey Locke; Acting Energy Director of the Ministry of Public Service, Energy and Public Utilities Ryan Cobb; and Electricity Director of the Public Utilities Commission Ambrose Tillett. 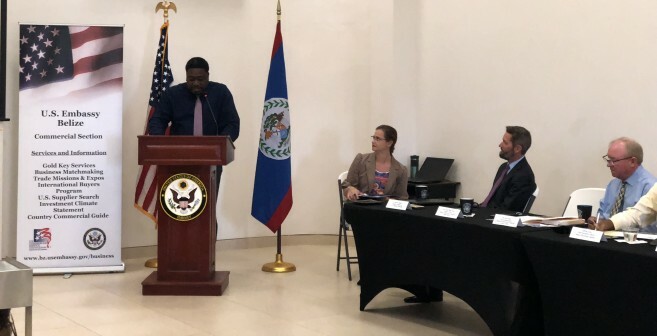 CEO Locke spoke to Belize Electricity Limited’s (BEL) new mission statement to improve the quality of life and stimulate national development by providing safe, reliable, and affordable energy services. He stressed the seriousness with which BEL takes its responsibility “to keep the lights on,” stating “decisions we make today will impact the country for the next 30 years, so we better get it right!” Mr. Cobb outlined Belize’s Energy Roadmap 2030, the status of the industry, and new projects. Mr. Tillett gave an overview of the sector’s legal and regulatory framework. 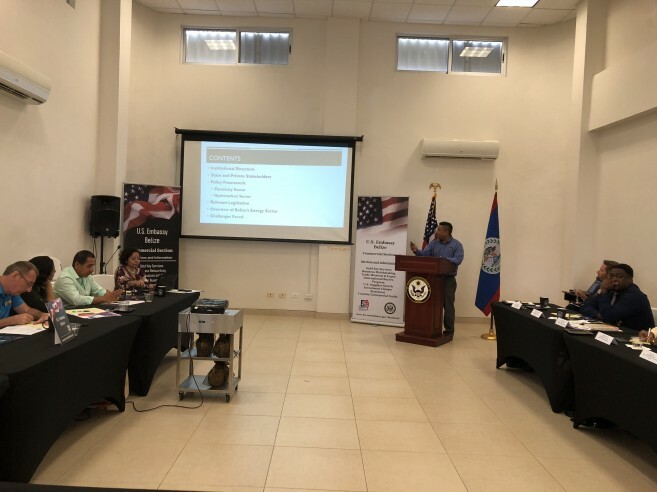 Attendees included U.S.-based companies E3 International and Lloyd Electric, representatives of the Belize water, sewage, solar, and co-generation sectors, as well as representatives from the Economic Development Council, the Development Finance Corporation, the Caribbean Community Climate Change Center, the Belize Chamber of Commerce and Industry, the Belize Hotel Association, and the Association of Professional Engineers of Belize.